Glorietta Bay Inn is a cozy and private boutique hotel with an 11-room historic mansion and 89 contemporary rooms and suites. 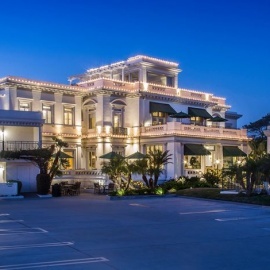 With our convenient location to the “Best Beach,” as designated by the Travel Channel, and its rich and luxurious architecture and history, our Inn is a definitive Coronado hotel. We combine old world charm with contemporary Southern California comfort, a winning combination that simply cannot be matched. 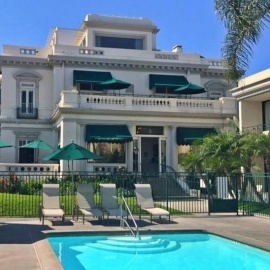 Our inviting music room and sun-warmed porch is a pleasant setting to enjoy the delightful complimentary continental breakfast with afternoon refreshments. The Inn is steps away from dining and boutique shopping, and is just minutes away from San Diego’s best attractions. Our stunning boutique hotel takes you back to a world and time long past with all the modern amenities of today.